Potato Corner’s largest package, this provides customers space to sit and dine within the store. Once you’ve figured out how to go about these, you can begin the application process. – a location offer sheet. Aside from describing and submitting photos of your proposed location, you’ll need to give actual foot traffic numbers from 9:00 a.m. to 9:00 p.m. This will take a lot of work, but you’ll have to be patient with it especially since you’ll need to provide a projection of how many customers will come up your cart daily. It’s best to have two personnel for your cart’s opening and closing shifts. 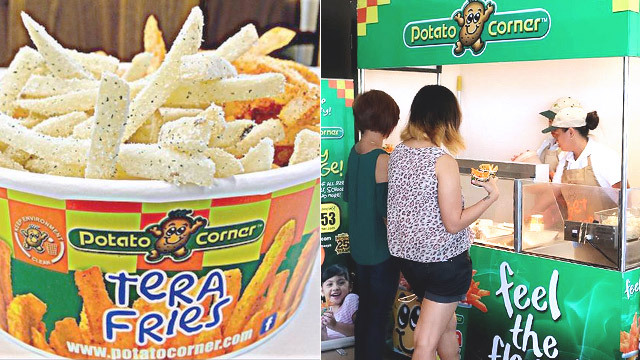 Potato Corner will cover their training, but you’ll need to set aside budget for their regular salary. Based on Potato Corner’s projections, if your sales amount to P5,500 a day, which totals to gross sales of P165,000 in 30 days, you can earn at least P32,576** net every month after you subtract your food, electricity, rent, labor costs, and other expenses. Of course, these are only projections and may change at any given time, but at least you have a ballpark figure to help you check if your business is doing okay. You can also try joining forums (like Girltalk) to get insights from fellow business owners.